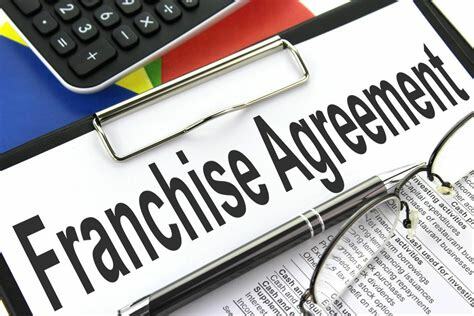 All or almost all franchise agreements include clauses stating that the franchisor has not made any representations to the franchisee to induce it to enter into the contract, except as set out in the franchise agreement itself. Oddly enough, in many cases, the answer to that question is “yes”. Some franchise agreements do include at least one or even several “false representations” by the franchisor. A first category of such false representations is often found right in the preamble to the agreement and relates to the franchisor’s experience, investments and reputation. With respect to the franchisor’s experience, we regularly see clauses stating that, by virtue of significant investments in time, effort and energy, the franchisor has developed and acquired broad experience and expertise in operating establishments of the type offered to the franchisee and benefits from a very high reputation and brand awareness (sometimes even internationally) in its business or industry. 1. When the franchisor is a different company from the company that operates or has operated until then the establishments in the franchise network (particularly when the franchisor is a new company incorporated for the purpose of granting franchises), even though it may be a subsidiary or a company in the same group. In that case, the franchisor is not itself the entity that has acquired such experience; it is the other operating company that operates or has operated the establishments in the franchise network. The franchisor is also not the entity that has made the investments referred to in the contract, nor is it the one that enjoys the high reputation and brand awareness associated with the network, let alone internationally. It is relatively easy for a franchisee’s lawyer to find out whether the franchisor in the contract is, in fact, the entity that has made the investments referred to in the contract, developed that broad experience, and that enjoys that high reputation and brand awareness. Furthermore, in the six Canadian provinces in which there is a franchise law (Ontario, British Columbia, Alberta, Manitoba, New Brunswick and Prince Edward Island), this information can be found in the Franchise Disclosure Document that every franchisor has to remit to each prospective franchisee at least 14 days prior to the signing of any agreement related to the proposed franchise. 2. When the franchisor in the contract has purchased the franchise network and therefore did not develop it itself. 3. When the franchisor in the contract merely franchises its brand and does not itself operate any corporate establishment. In this case, if that is true, the franchisor can assert that it has experience in franchising and in managing a franchise network, but not in operating sales outlets in the network (since it does not operate any itself). In situations of this kind and in some other situations, the clauses in the preamble to the agreement must be drafted in such a way as to properly reflect the facts of the franchisor’s situation and thus avoid those clauses being cited as comprising false representations on its part. A second category of false representations, which is also regularly found in franchise agreements, relates to ownership of the franchise network’s trade-marks, intellectual property rights, and other intangible assets. Before stating in the agreement that the franchisor owns the network’s trade-marks, intellectual property rights and intangible assets, you must be sure that this is indeed the case. 1. When the franchisor’s corporate structure is such that the trade-marks and intellectual property are owned by an entity other than the one that appears as the franchisor in the contract (for example, a holding company, a trust or a shareholder in the franchisor). It is also very easy for a franchisee or its legal advisor to check whether the franchisor that appears in the contract is, in fact, the owner of the network’s trade-marks, simply by consulting the Canadian Trademarks Database which is easily accessible online free of charge. 2. When the individuals and entities that operated the initial sales outlets in the network (who are generally the first owners of the trade-marks and other intellectual property rights) are not the franchisor in the contract and have not formally assigned their trade-marks and other intellectual property rights to the franchisor. On this point, I refer you to our franchise bulletin of September 11, 2018, which offers some advice for protecting a franchisor’s portfolio of intangible assets. Again, it is important that your franchise agreement properly reflects the structure of the franchise network and not include inaccurate information, particularly regarding ownership of the trade-marks and intellectual property that constitute significant assets in any franchise network. Obviously, the presence of such “false representations” in a franchise agreement does not make it automatically void and does not always give franchisees a sufficient legal ground to ask a court to cancel the franchise agreement. 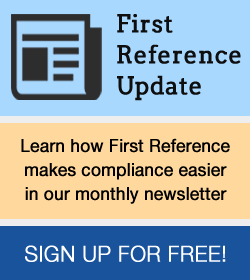 However, when there is another problematic situation or situations for the franchisor, the presence of inaccurate clauses in a contract which was written by or on behalf of the franchisor itself, can combine with other grounds in support of a legal recourse instituted by one or more franchisees, and this represents a risk that can very easily be avoided by ensuring that the contract is properly drafted. Because franchise agreements are often signed for long periods (generally from two to ten years, with one or more additional renewal periods), it is essential for any franchisor and anyone who drafts a franchise agreement to make sure that the clauses in the agreement are tailored to the structure of the franchisor, properly reflect the facts of the franchisor’s own situation, and do not contain any false or inaccurate statement. Chapter VIII of Le droit de la franchise au Québec, the important text written by Frédéric P. Gilbert, provides a very complete description of a franchisor’s obligations in relation to information and of the risks associated with false representations, and chapter VII of this same book discusses the best practices in drafting relevant clauses in franchise agreements.